Whether you call them waterbugs, palmetto bugs, or cockroaches, you want them far, far away from your home. Get them out, and keep them that way, with these straightforward guidelines. Our standard-issue household cockroaches earned the nickname waterbug for their tendency to cluster near water sources. 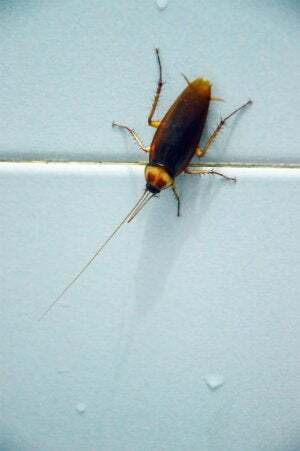 This predilection is entirely understandable: A cockroach can live for a month without food, but it can’t last more than a week without water. 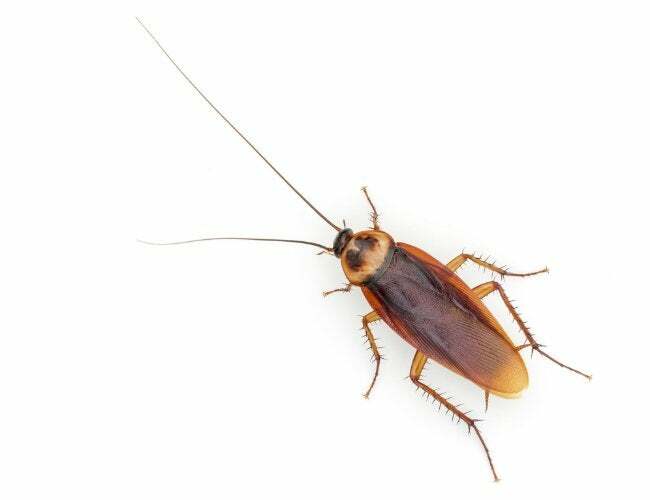 While roaches (often also known as palmetto bugs) generally prefer to live outside, they are—much to the annoyance of homeowners everywhere—attracted to damp indoor environments, such as kitchens and bathrooms. Fortunately, a few key extermination practices and a few lifestyle tweaks might help you in the quest for how to get rid of waterbugs for good. Before you begin launching weapons of mass insect destruction, be sure your adversary is actually a member of the roach family. Conduct a quick search online and in your state university’s insect database for “cockroach” and “palmetto bug” to be certain you’re not dealing with a case of mistaken identity. As your waterbugs probably came in from the outdoors, search for nests and likely entry points into the house. This means you’ll have to poke around in those dark corners of the house that you rarely clean (and perhaps used only for long-term storage). Look for gaps around windows, doors, and pipes that penetrate the home’s exterior. Check for cracks in concrete floors and walls. If you’re having trouble finding a nest, search at night in rooms that have been dark for a few hours, giving the bugs time to become active. Enter every room where you suspect they’re living, and turn on the light. If cockroaches are there, you’ll probably see them scatter. Watch where they go, and concentrate your eradication efforts there. Once you’ve determined where your waterbugs are, it’s time to pull out the pesticide. One way that these chemicals work is by exploiting roaches’ natural habits. Interestingly, although we associate cockroaches with filth and disease, these insects groom themselves constantly—and that behavior is the ticket to their extermination. If a waterbug makes contact with a pesticide, whether natural or synthetic, the insect will consume it while cleaning itself. In other words, whatever is on the roach will soon be in the roach. Effective roach pesticidal treatments run the gamut from otherwise innocuous natural products to hard-core chemicals. Proper application and placement are critical to success, which is why some people choose to hire pros for the job. Natural pest killers include concentrated distilled white vinegar; a mix of equal parts sugar and baking soda; borax and boric acid, which destroy the insects’ digestive tract; and essential oils like citronella. Apply liquid products—usually labeled “eco” or “green”)—to the nests and to all drains (tub, toilet, laundry room, and dishwasher), using a spray bottle. To apply powders (such as the longtime homeowner favorite Harris Boric Acid Roach Powder, available on Amazon), sprinkle the granules on, and near, nests and access sites. Hint: Use only a thin dusting, because these wily insects avoid large clumps. • Gels like Combat Max Roach Killing Gel (view on Amazon), thanks to their syringe-like application method, make it much easier to get pesticide into those hard-to-reach places—under the fridge, say, or under the oven. • Traps—the classic Black Flag Roach Motel product (view on Amazon), for example—lure and kill roaches out-of-sight. • Sprays are perhaps the most commonly used type of roach killer in DIY extermination. SC Johnson, the maker of Raid Ant & Roach Killer Spray (view on Amazon), recommends sending pets and kids outside or otherwise away from the application area and sealing the space for at least 15 minutes before thoroughly airing it out. Outside intervention by a professional exterminator may be necessary to get rid of waterbugs if you have a serious infestation or can’t find the nest or entry points. After you’ve completed your chosen method of extermination, take steps to prevent future infestations. Obviously, you’ll want to caulk or otherwise seal all gaps and cracks that invite roach infiltration—but that’s just the beginning. • Carefully seal and store your food; don’t leave any out overnight. • Put tight-fitting lids on recycling bins, and empty them at least once a week. • Remove garbage daily, if neighborhood covenants permit. • Confine meals to one part of the house. • Vacuum regularly to eliminate crumbs and other debris, and thoroughly clean the kitchen, including all appliances, with a disinfectant. • Clean rugs and carpets annually with a steam cleaner. • Fix leaky interior and exterior faucets, and repair basement walls where water is seeping in. It takes commitment and vigilance to keep waterbugs from staging a counterattack, but it’s worth the effort to purge your home of this creepiest of all crawlies.